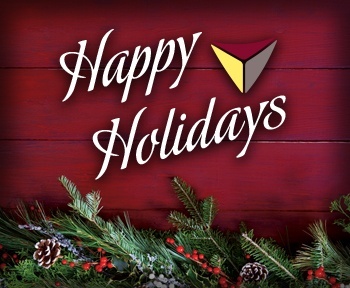 Happy Holidays and Thank You for 100 Years! As we reflect on 2016, our team at Baker Cheese wanted to take a moment to thank our loyal partners, farmers, employees, friends and family for a historic year, and to also wish you and your family happy holidays! In September, Baker Cheese held an appreciation celebration in St. Cloud, Wisconsin, to thank the local community, farmers, partners and employees for their years of dedication and hard work. The event featured local food, live music, games and a history tent that displayed company artifacts, a company timeline and images documenting the storied Baker Cheese history. Thank you to everyone who attended to commemorate 100 years of collective success. The launch of Baker Cheese Jalapeno flavored string cheese could not have gone any better! We were overwhelmed with the success of Jalapeno and we were proud to accept the gold medal for flavored string cheese at the 2016 World Championship Cheese Contest. 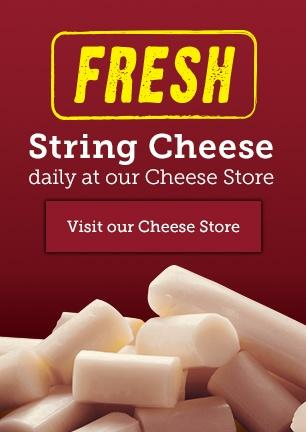 As one of the premier string cheese manufacturers in the United States, our team at Baker Cheese is proud of our time-tested cheesemaking process. Our commitment to excellence was showcased when Baker Cheese accepted the 1st, 2nd and 3rd place awards in the String Cheese Division at the 2016 World Dairy Expo Dairy Product Championship Contest. From obtaining the freshest ingredients, to production and packaging, we take pride in delivering a high quality product to our loyal customers. To celebrate our centennial anniversary, we asked employees to help us nominate local charities to receive a monetary donation. Bi-monthly, employees submitted suggestions of local charities to support. Thank you to our employees for helping us with this centennial community-giving initiative and thank you to all of the wonderful charities and organizations who support our local community each day. Thank you again for an exceptional year! If you are interested in purchasing Baker Cheese’s award winning products, visit our Cheese Store page, or contact us to learn more about our private label opportunities.